Kevin Edwards is an executive vice president and had been part of Sleeper Sewell since 1990. 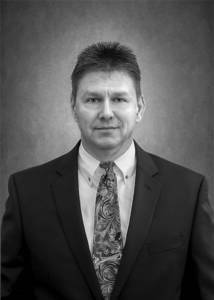 Kevin has more than 25 years of industry experience and has worked as an insurance agent his entire life. He has had success serving industries including woodworking, lumber retail wholesale, manufacturing, childcare, propane and machine shops. An active community member, Kevin is a member of the TAWI, the TLCCA and the TPGA. Kevin has an associate degree from Navarro College and holds a Certified Insurance Counselor (CIC) designation.